Affiloblueprint 3.0 Review. Is Affiloblueprint Worth Investment? Welcome to my site and today I’m going to write my review of Affiloblueprint 3.0 to help some of you make a decision whether to buy Mark Ling’s training or look for some other programs out there. My review is not a copy paste one from other sites. My review is based on my experience. In fact, I paid for affiloblueprint and went through the course. So, I know how it works. I know what you can expect from this training. I will tell you exactly if investing money in this course worth it or not. I will explain how to get the maximum out of this training. By the end of my review you will know exactly what to do. Believe me, my review is different from many other reviews of affiloblueprint out there. Keep reading my affiloblueprint 3.0 review. It’s going to be very interesting. 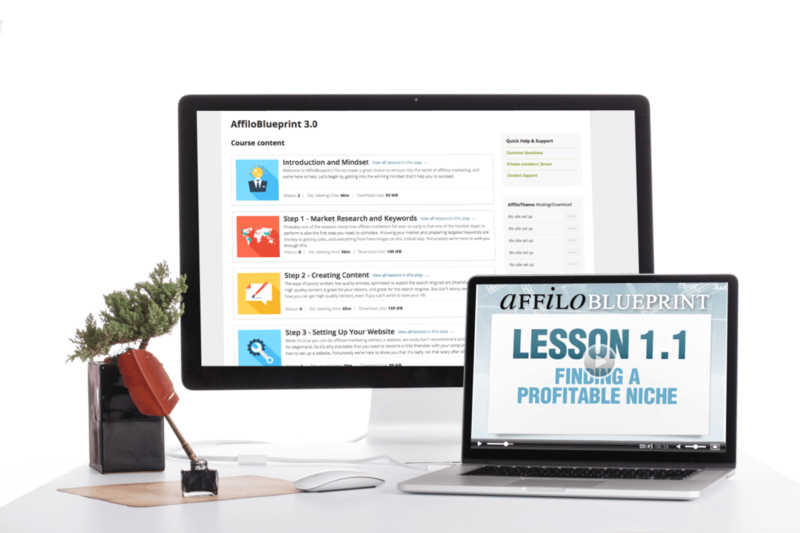 Affiloblueprint 3.0 is the course on affiliate marketing that can teach you how to make money online using free and paid methods. The creator of this course is Mark Ling who is also the founder of Affilorama. He also has some other products, such as Affilojetpack and Affilotools. 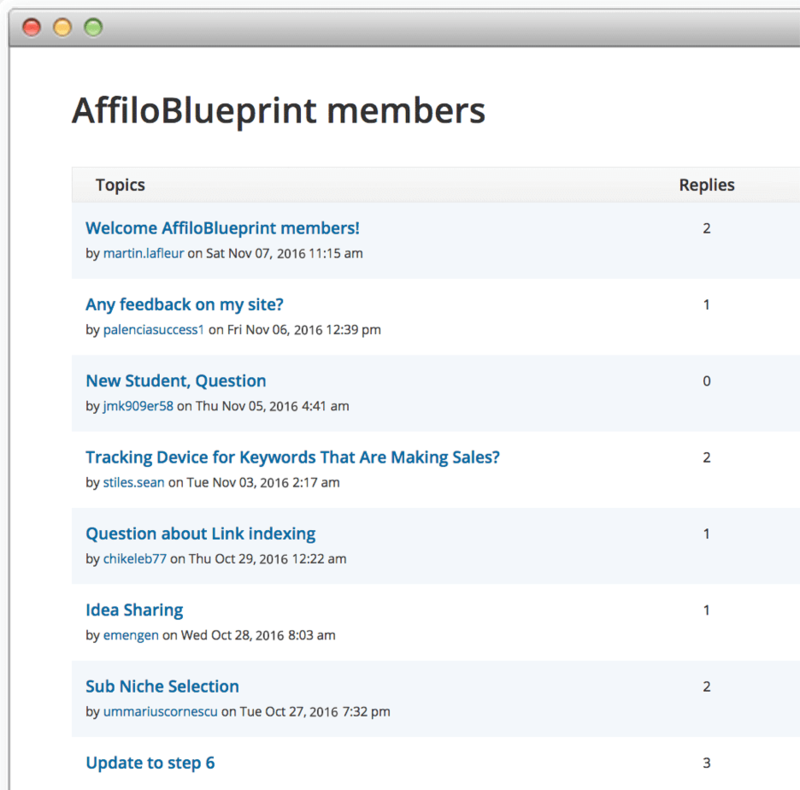 Affiloblueprint is an advanced course for affiliate marketers and in my opinion is a good investment. You definitely can make money with it IF you are willing to take action. For those of you not willing to take action this course is going to be useless. 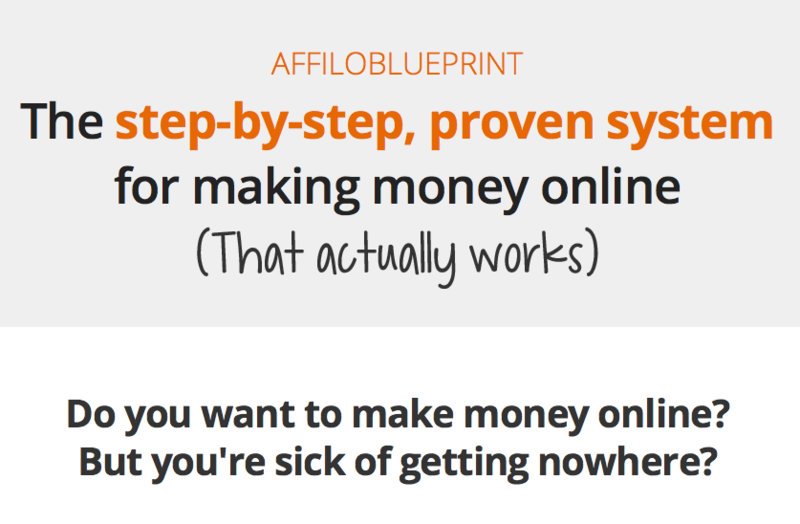 First, let’s see what Affiloblueprint is all about and how it can help you start making money online. Or maybe it’s useless? I can tell you that there are many reviews of affiloblueprint online. If you read some of them you can decide to buy it. If you read other reviews you will decide to not buy it. It’s confusing a bit. I know from my own experience. Because everyone is thinking differently. Everyone’s experience is different. It’s really hard to make a decision. But with my review I promise, it won’t be difficult to make a decision. Because my reviews are extremely honest and realistic. I don’t sugarcoat what I review. I will explain everything in details without hiding anything from you. Video 1: Why Isn’t My Site Making Money? Video 4: Where to From Here? Video 1: What are Ad Extensions? 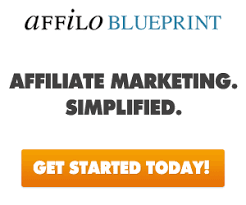 In fact, Affiloblueprint 3.0 includes everything you need to know about making money online through affiliate marketing. It teaches you literally everything: market research, keyword research, content creation, content research, finding profitable niches, competition research, finding programs/products to promote, website building and customization, on-page SEO, off- page SEO, social marketing, video marketing, infographics, Amazon kindle traffic, building quality backlinks, email marketing, solo ads, analytics, tracking, outsourcing, PPC strategies. 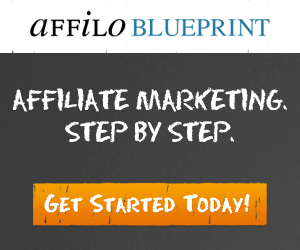 Like I said, Affiloblueprint includes almost everything regarding affiliate marketing. But in order to get results from this training you need to take a massive action. You are not going to make money right after watching training videos and asking a couple questions. For example, when it comes to creating content you will learn different strategies: how to create content, how to outsource content creation in case you don’t want or can’t create it yourself. Of course, creating it is always recommended but for some people it can be an issue. In Affiloblueprint you can learn different methods which is good from a practical standpoint. You will learn different traffic strategies, free and paid ones. Amazon Kindle traffic alone can send you a solid traffic and plus you can make some extra cash each and every month. You will get some basic knowledge about email marketing and solo ad. I know it’s not for everyone because requires some investment from a few hundred up to several thousand dollars. But still it’s good that Mark teaches you different methods so you can choose one that fits your budget. The overall quality of the training is very good and if you follow it and take action you can get very good results. Some people complain that it’s very basic training and not for advanced affiliate marketers. I think it’s both for beginners and advanced marketers. If you are not willing to take action on what you learn that’s your problem. Mark Ling has nothing to do with it. And that’s the main reason why people get different results with Affiloblueprint training. Those who are NOT willing to learn or put an effort they don’t get any results. The good thing about Affiloblueprint is that each step has homework to be done. It will help you a lot if you are completely new to affiliate marketing. Each step also includes resources. They provide quality support through members’ private forum and email support. Support normally replies within 24 hours. Forum support can be much faster sometimes. You can also find answers to your questions by searching through forum topics. 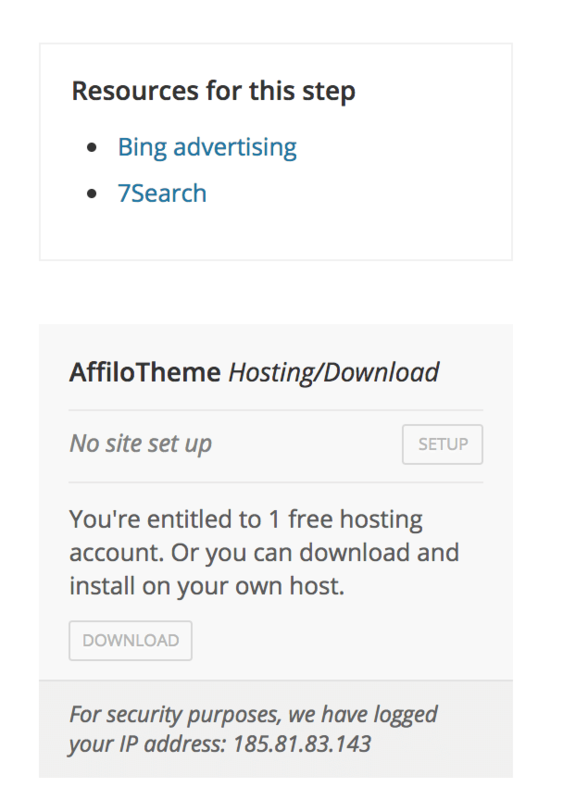 Affiloblueprint also includes AffiloTheme builder and hosting for one website for one year. If you are completely new to all this it can be very helpful too. Affilotools is available for affilorama premium members only. Affilotools can help you track your results and improve conversions. Very helpful if you can afford it. This will cost you $67 per month. It’s optional. The only thing that I don’t like in Affiloblueprint is that almost in every video of the training they try to mention about Affilojetpack that will cost you $997. 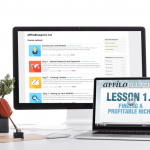 Yes, I know that Affilojetpack is an excellent package for advanced marketers. It includes almost everything, from content to email swipes, all done for you. But you still need to do the work to make it work for you. But with Affilojetpack it becomes much more easier. I totally understand that they try to promote it and that’s why they mention about it so often. But it’s too annoying in my opinion and too promotive. Anyway, it comes with 60 day money back guarantee. You can get a refund if you decide that it’s not for you. 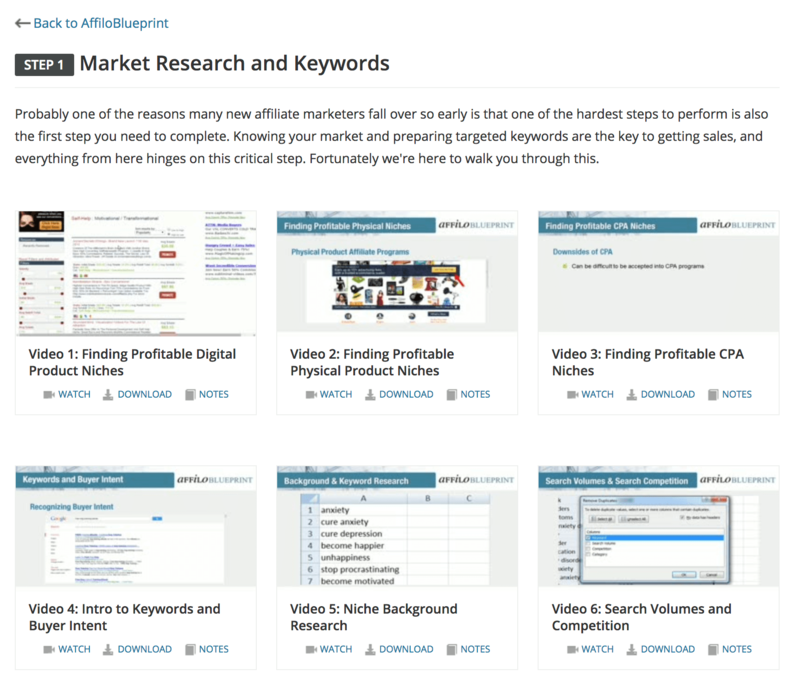 As I said, Affiloblueprint 3.0 is an excellent course on affiliate marketing both for beginners and advanced marketers. There are of course some people that complain and are not happy with Affiloblueprint. But I can tell you why they are not happy with it. It’s because they either didn’t follow the training or didn’t take an action on it. Don’t listen to this group of people. Affiloblueprint is a good and solid program that has been around for many years and has helped many people start making money online. The only people that complain are those who don’t want to take action on what they learn. Or they take action for one or two months and then quit. Of course, if you follow the training and then work on your business 2,3 hours a week you can’t expect any serious results from your efforts. Instead if you take a continuous action you can start making $1.000 per month or even more. Everything depends on your action and the amount of time you are willing to dedicate to your affiliate marketing business. First, it comes with 60 day money back guarantee. You can ask for refund within 60 days. 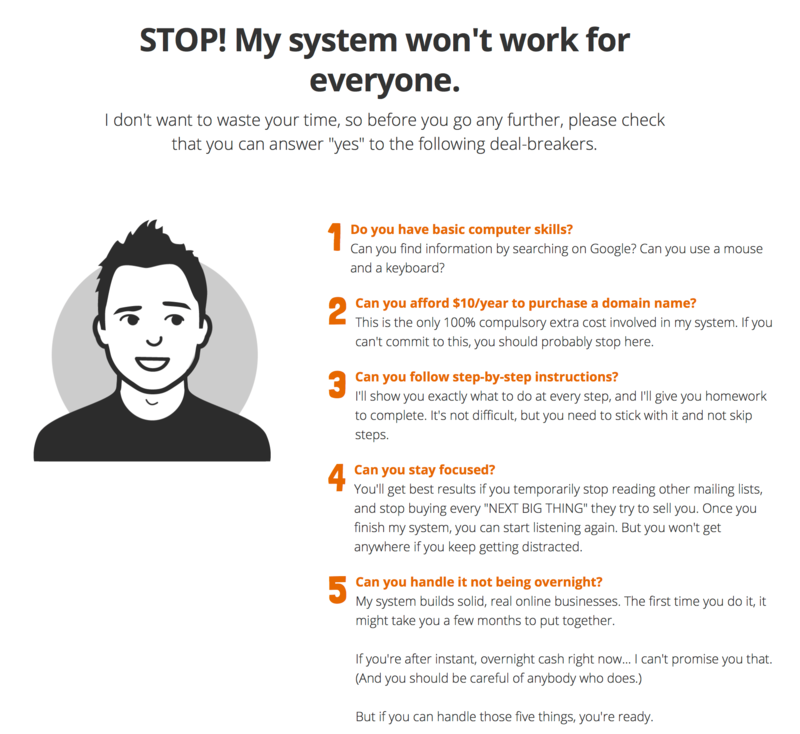 Second, Mark Ling is an honest man and explains on his sales page that this system is NOT for everyone. Not every internet marketer is so honest. My respect to Mark Ling. You shouldn’t expect overnight success with Affiloblueprint 3.0. If you can’t manage 5 things mentioned above then Affiloblueprint is not for you. You can watch Affiloblueprint online OR you can download it (pdf files and videos). I think if you want to learn how to make money online through affiliate marketing Affiloblueprint 3.0 is a good option. You just need to take a massive action if you want to get results with this program. If you are not a hard working kind of person then you better forget about making money online. 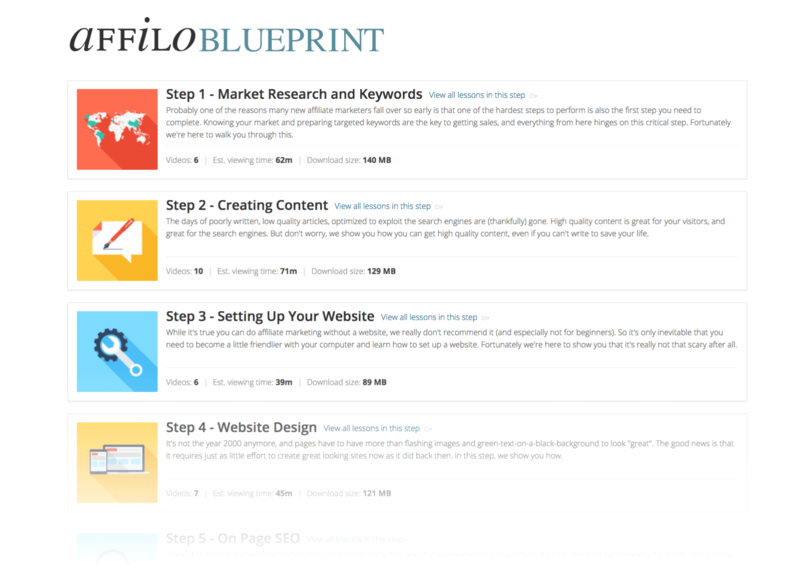 In my opinion, Affiloblueprint 3.0 is a good investment. I agree that WA has more subtle style without any upsells. There are still some mentions regarding upgrading to Jaaxy pro which can be considered as an upsell. But generally speaking WA’s approach is better. Regarding 60 money back guarantee it’s real. Yes, you can ask for refund at any time. But I personally think affiloblueprint has a lot of value and there is no reason to ask for refund. If you use affiloblueprint training in combination with WA training you can achieve even more of your goals. I read your review. I’m a member with Wealthy Affiliate and I’m curious to hear from you how you compare between these two training courses. I am going through the training at WA and it is helping me quite a bit and includes all the tools for setting up website. What’s available at Affiloblueprint that you think is better than WA. Just like to get your thoughts on this. Thanks! First, I don’t compare WA with Affiloblueprint. I think WA has its own advantages and Affiloblueprint has its own advantages. WA provides better support and a lot of live trainings. But affiloblueprint’s training is a little better when it comes to traffic strategies and backlink strategies. WA doesn’t teach backlink method at all and I can’t agree with their approach at all. Anyway, both programs are great and I think if you can afford it you can use both of them and it will allow you to achieve better results in your affiliate marketing business. « How to Make a Lot of Money Fast or Can You Really Make $5000 in 30 Days?